Actress Adesua Etomi has been perfectly fitted into the Wellingtons family photo after she was conspicuously absent. 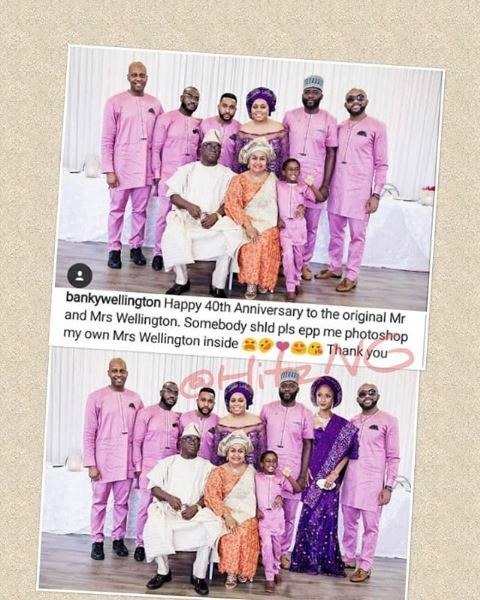 A few days ago Banky W’s parents celebrated their 40th wedding anniversary. 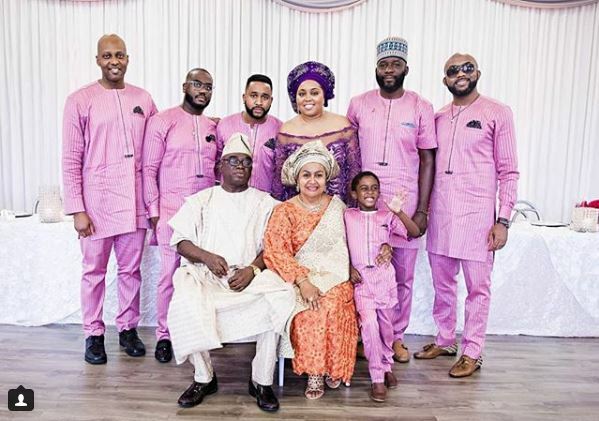 In attendance were family members and well wishers, a noticeable absence was that or Mrs Banky W.
A jovial Banky W asked fans to Photoshop his wife into the family photo. Not quite long a fan obliged his request and did the following.